At Monmouth Pain & Rehabilitation in Shrewsbury, Freehold, Wall, & Lacey NJ, our professionals expertly handle cases of Vertigo daily and provide relief from the debilitating symptoms of dizziness to the community we serve. Our entire staff works together to provide every possible option for rehabilitation. Our approach revolves around the idea of helping patients avoid unnecessary surgeries and medication, therefore reducing further damage and stress on the body. If you are looking for real relief from Vertigo and live in Monmouth or Ocean County contact Monmouth Pain & Rehabilitation today! Contact Monmouth Pain & Rehabilitation and schedule your free consultation at our Shrewsbury, Freehold, Wall, & Lacey office and take a proactive approach to finding real long-term pain relief. We look forward to helping with all your rehabilitation, physical therapy, and chiropractic needs. Please feel free to contact us directly by calling (732)345-1377 or by emailing us using the Contact Form below. Please note that a referral is not necessary for your first visit. Vertigo is a condition caused primarily by issues with the inner ear, but may also be associated with migraines, head or neck injuries, brain issues like stroke, or certain medications. Vertigo causes a sensation of unbalance and dizziness. Other symptoms of vertigo include headaches, nausea & vomiting, abnormal eye movements, and ringing in the ears. Benign Paroxysmal Positional Vertigo (or BPPV) is the most common cause of vertigo. It is a problem with the inner ear that, when in a particular position, sends false signals to the brain which create disequilibrium. BPPV is not a life-threatening condition in the majority of cases, but there may be risk of falling so it should be addressed. 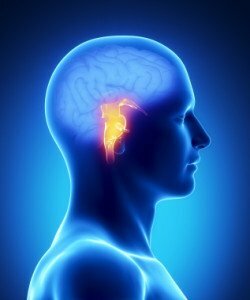 BPPV can be treated with vestibular rehabilitation at Monmouth Pain & Rehabilitation in Lacey, Wall, and Shrewsbury, NJ. Vestibular Rehabilitation is a type of physical therapy that strengthens the vestibular system, which is responsible for balance, spatial orientation, and movement of the body. Issues with the vestibular system and inner ear may also lead to difficulty concentrating and fatigue. Through the exercises incorporated in vestibular rehabilitation, the brain learns to use the senses to compensate for the balance issues. Patients who typically can benefit from vestibular rehabilitation therapy are those diagnosed with dizziness, imbalance, vertigo, Meniere’s syndrome, benign paroxysmal positional vertigo (BPPV), neck-related dizziness, and migraines. Other candidates are patients who have had a stroke or brain injury or who frequently fall. At Monmouth Pain & Rehabilitation, our physical therapists will conduct an evaluation of your condition to determine what would be the most successful treatment plan customized to you. If you are in need of vestibular rehabilitation for vertigo, please schedule an appointment in one of our facilities. Please call 732-345-1377 to reach our Shrewsbury, Wall, or Lacey locations.